About Us ~ Is university always the answer? It’s that time of year again…. exam results, results that determine futures….but is university always the right path? I’m approaching my 9th Gap y’ah, and I knew all those years ago when I hit the Defer Entry on my UCAS application I was never going to go; and it’s not because I didn’t enjoy school, far from it. I just felt, university would have been an expensive way to prolongue the inevitable leap in to the world of full time employment and real responsibilities. I still find there is a stigma attached to not going on to university, and I feel I am constantly having to explain my reasons for not going. I’m unusual in that not only did my parents go to uni, but my grandparents (including grandmother) went too. 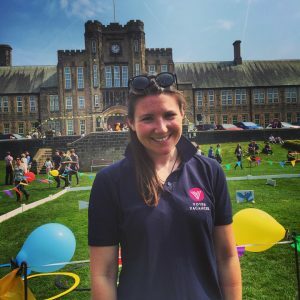 From a young age, this set a precedent and I was always aware that going on to university was the done thing; but it wasn’t until I was deciding on my GCSE choices, that I realised I didn’t know what I wanted to do, and perhaps going out to experience the real world would help me make an informed decision…. 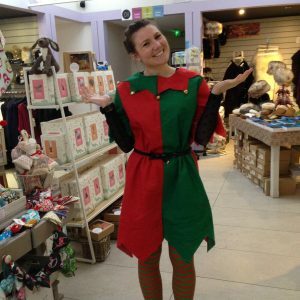 I’ve been fortunate to always have had a job, and these have varied greatly from working in a stately home to being a cleaner of a garden centre, a Christmas elf (yes really!) to working in shops (where most of my wage went!) In each job, I learned new life skills including tact and diplomacy (although they still seem to evade me when dealing with my family) to plumbing and gas repairs. I was also fortunate enough to work with people from all walks of life, people who I would never have met otherwise, and I’m all the better for it. Each and every one of my experiences has enabled me to make Votre Vacances a reality, and has made me realise life is too short to be stuck in a job I didn’t love. Of course there were jobs I didn’t like, but I viewed them as stepping stones, another weapon in my arsenal. I don’t have any qualifications in business, marketing or economics, but I love what I do, so I am constantly learning, evaluating and evolving; without having to fill in a CPD form!!! Of course I’ve made mistakes, and will continue to do so, but these mistakes are helping me create a better business, and as a result a better experience for my lovely customers. I’m not endorsing not going on to higher education, but remember, it’s not the be all and end all, nor is it for everybody, and it’s certainly not the only gateway to success or a happy career.